Notes: Estate in Pimlico built to replace bomb damaged Victorian terraces. The estate was designed by Powell and Moya to have 1600 homes spread over 32 blocks. 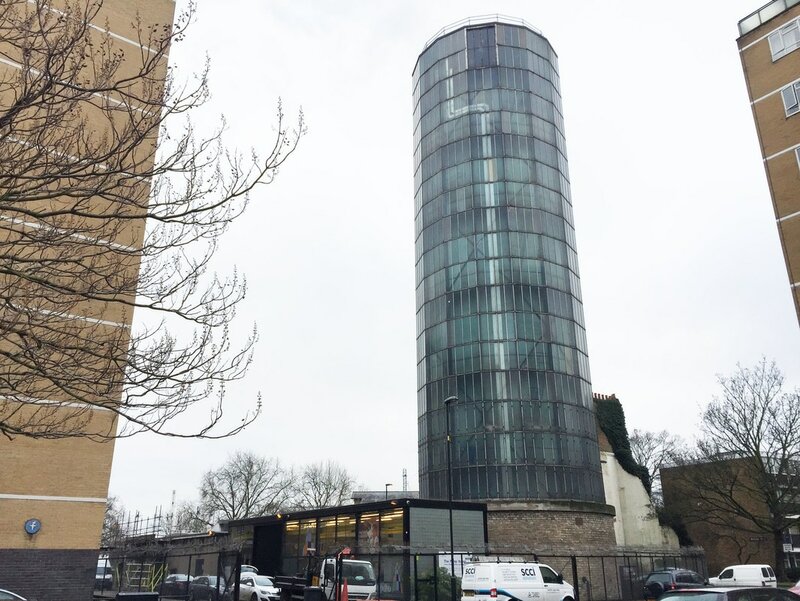 The glass faced accumulator tower was built to provide heat for the whole estate.